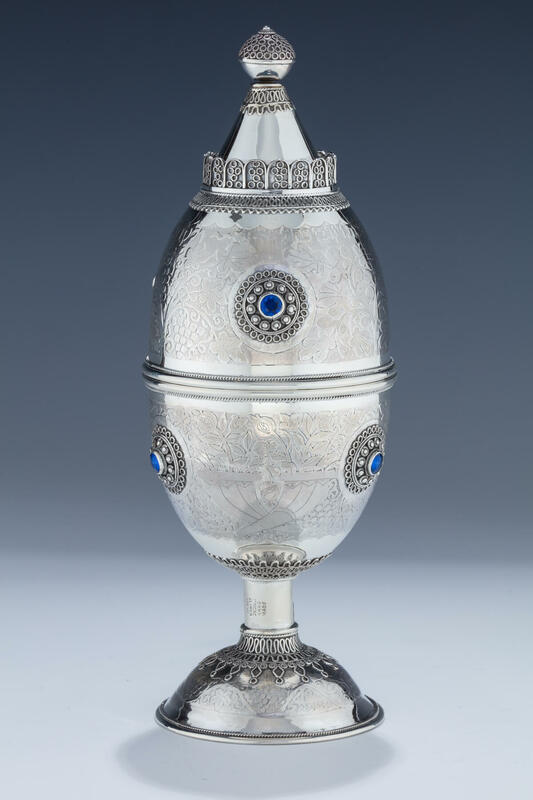 A LARGE SILVER ETROG CONTAINER BY BEZALEL. Jerusalem, c. 1940. On round base decorated with acid etched design and applied wirework. The stem applied with Bezalel School plaque. Main body decorated with applied beading, wirework and etched design. Upper and lower portions with blue cut glass applications. 9.5” tall.